Riyadh-A first instance ruling issued on Wednesday by the Saudi Judiciary against terrorists revealed links between the so-called Lebanese Hezbollah and a cell assigned to launch attacks against security officials in the Awamiyah village, located in the east province of Al Qatif. The Special Criminal Court in Riyadh sentenced 14 Saudis to death and 19 others to jail. It was later revealed that a tenth accused from the Awamiyah cell, also sentenced to death, was a man who was ready to travel to Lebanon and meet with members of the so-called Lebanese Hezbollah to follow up on publishing a private magazine covering Awamiyah news. This tenth accused, who did not inform concerned security officials about his moves, contributed to building a factory producing Molotov cocktails to be mostly used by the group tasked with attacking the Internal Security Forces and security posts, with the support of the Free Youth Movement. One of the accused, who is sentenced to death, admitted to having participated in the terror activities in the Awamiyah, by blocking entrances to the village, burning car tires to prevent the entrance of security patrols, and by providing foreign journalists with false photos about the events in Al Qatif province. The accused also posted on various social media sites a number of videos and photos he recorded to ignite strife. Another accused also admitted firing at police posts and security men while carrying out their duties. He also fired at several citizens, including any strange person entering the Awamiya village, and attacked the house of another citizen. The defendants also robbed houses and several shops. They used cars they stole from citizens at gunpoint to carry out their crimes. 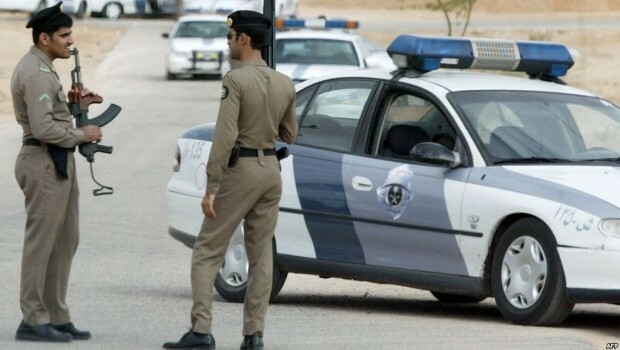 One of the suspects admitted to having participated in gatherings to encourage terror activities after Saudi Arabia arrested suspect Nimr Baqir al-Nimr, and later executed him.